People all over the world dance to different tunes—especially among the rich diversity of African cultures. We’ve chosen some of our favorite dances for you to enjoy—good luck trying to copy these moves! The Azonto dance originated from coastal towns in Ghana, and quickly became its own music genre, as well as dance style. There are many variations on the dance because it’s meant to involve hand movements mimicking everyday activities. 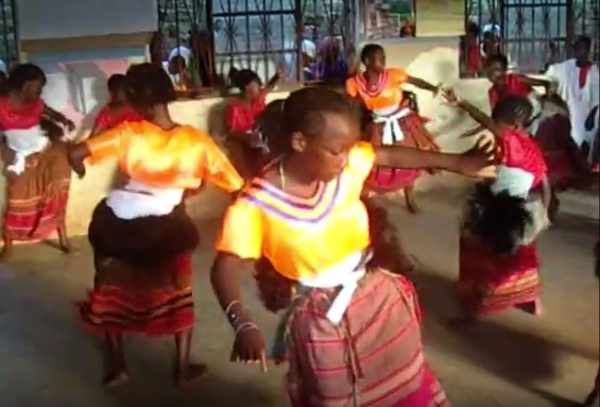 Practiced by Kenya’s Luhya tribe for centuries, the Lipala dance has come back into contemporary popularity with the rise of modern Kenyan music. One band in particular, Sauti Sol, has worked to reclaim Kenyan cultural music and dance, saying it’s a way to “take back our dance, take back our streets,” according to a BBC article. There are a variety of backstories associated with Nigerian Galala dance styles. Despite the multitude of tales, everyone agrees that it was developed in close association with the local reggae music scene. To the unaware, the Kiganda moves may seem like they’re similar to the hula. However, this ancient ritual dance has represented the Baganda tribe in Uganda for generations. It’s considered to have been created as a historical form of honoring and entertaining the Bagandan king. Evoking the urban culture from which it came, Pantsula dancing grew from South African political and social unrest in the 1950s. Developed from Sotho dances, Pantsula was used as a way for communities to connect and spread awareness of major issues, such as the spread of AIDS in the 1980s. Need a reason to dance? Become a ONE member and join the more than 7 million people fighting extreme poverty in sub-Saharan Africa.